Superior build and dependability assured. Made of heat-treated 1050 steel with a manganese phosphate finish. These can take tough hunting and range conditions. 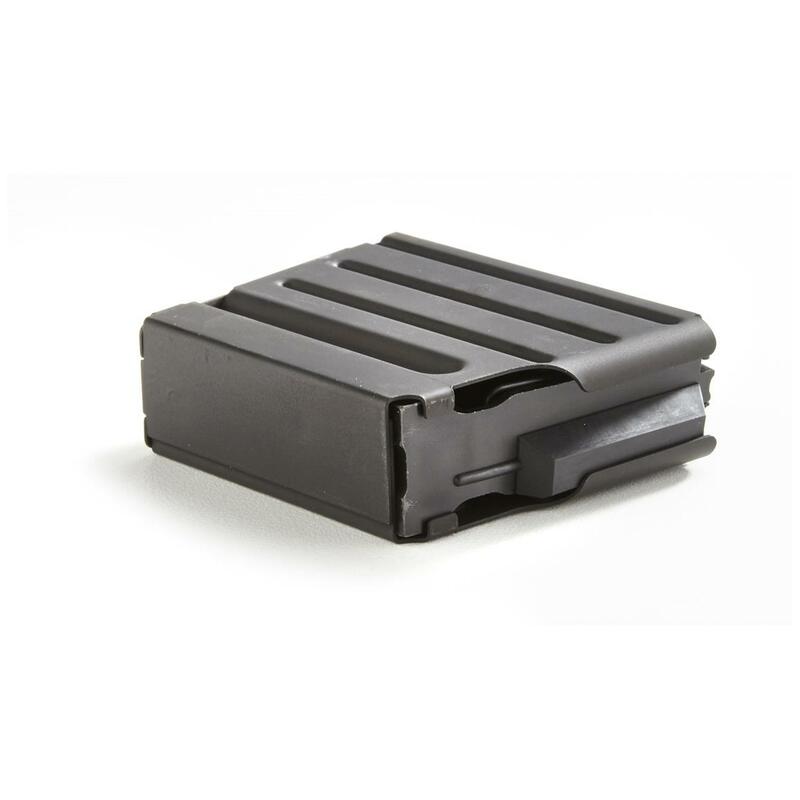 Steel floor plate, steel spring and plastic follower complete the top-quality DPMS package. 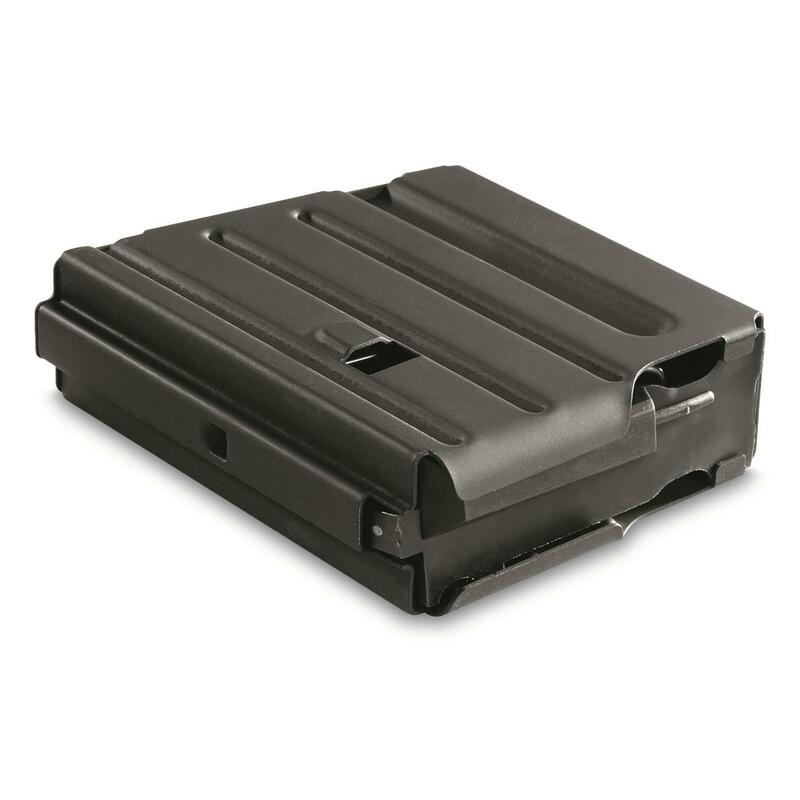 DPMS AR-10 Magazine, 4 Rounds is rated 4.6 out of 5 by 22. Rated 5 out of 5 by Deputitty from Price a little high, but when you need one and find it you get it! Magazine fit the rifle perfect. It's already loaded. Rated 5 out of 5 by Steve from Great Price for a Factory Piece Bought this for my DPMS LR-308 for hunting. Works great. Sits nearly flush with the bottom of the magazine well staying out of the way while hunting. It allows me to hold a total of 5 rounds in the rifle which is more than enough for hunting. Rated 5 out of 5 by Zocko from Good Mag Good fit, functions well.....quick service! Rated 5 out of 5 by Duckman9 from No issue Order came in a timely manner. Well packaged. As for the magazines, they work flawlessly. No issue at all with fit and function on my DPMS GII Hunter .308. As for price, it's cheaper than most sites I had looked at (with free shipping) and definitely cheaper than any big box stores. Rated 5 out of 5 by John3000 from DPMS AR-10 Received the product within a couples days, Mag was in good working order. Product is made of good quality material and functions great. Lost your mag? Problem solved!